In 2009 the burgeoning New Zealand crime and thriller writing ranks were swelled by the welcome addition of several new faces, including Alix Bosco (CUT & RUN), Lindy Kelly (#1 bestselling BOLD BLOOD), Dorothy Fowler (WHAT REMAINS BEHIND), and Roy Vaughn (THE MERELEIGH RECORD CLUB TOUR OF NEW ZEALAND) - although the latter's first novel was launched here in early 2010, after being published overseas late last year. I understand there will be at least a couple more 'new faces' released onto the market in 2010, so it's fantastic to see that, slowly but surely, locally-written crime and thrillers are getting more attention from readers, the media, and publishers. 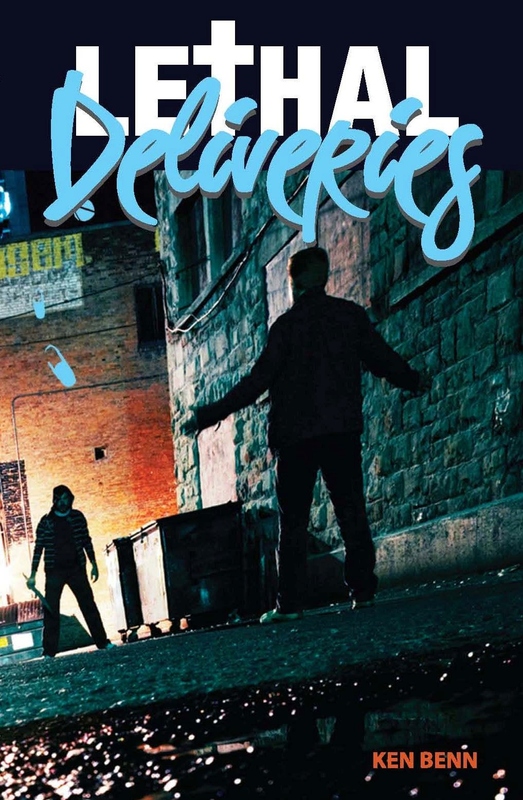 And now, Palmerston North Boys' High physics teacher Ken Benn has joined the Kiwi crime ranks, with the recent launch of his debut novel, LETHAL DELIVERIES (which is intended to be the first in a trilogy). The publisher's blurb states: "Rochelle has her hopes set on one day playing in the National Women's Inline Hockey team. Her goal seems to slip from her reach as she gets sucked into her brother, Jack's world of gangs and drug dealing. But is the gang life what Rochelle's brother really wants or is it a choice his father has made for him? Rochelle finds herself in a dangerous world supported by the most unlikely companions and soon learns there's a price to be paid for these friendships – an ultimate price." You can read more about Benn, the book (which seems to be 'young adult' crime fiction), and the interesting backstory - including Benn 'sleeping rough' and hanging with local criminals for research, in a nice article in the Manawatu Standard here. Craig - I always like to find out about "new faces" in the crime fiction writing world. Thanks! And I admire people who write quality YA fiction. Anyone who motivates young people to read - a lot - has my deep respect. Hi my name is jaren I've recently read lethal deliveries and I'm shook up a bit :) I want to know more .. so I was wondering if there's a next ? Thanks for your interest. There are two more to come. Book two is scheduled for early next year and book three later in the year. Give Penguin a twitter or something to express your interest and they will give you more precise.